Anyone who does woodworking on the side or attends to their own personal projects when time permits would appreciate having a durable and versatile router table that is able to handle all sorts of wood pieces. 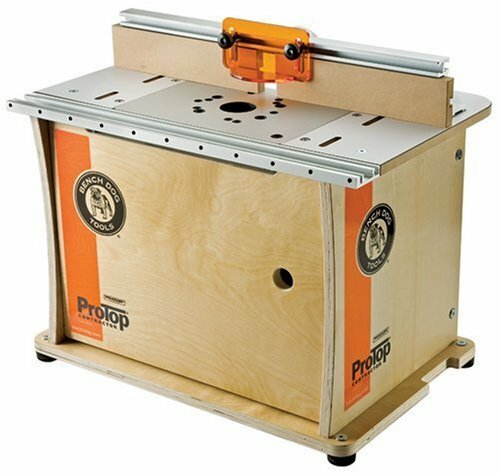 ​The Bench Dog 40-001 ProTop Contractor Benchtop Router Table is one such setup. This 16 by 22-inch router table is more than enough to accommodate to all sorts of wood pieces for weekend woodworkers or those looking to improve their craft. The Bench Dog 40-001 ProTop Contractor Benchtop Router Table comes in at 16 x 22 inches, which gives nearly as much space as full-sized router tables. It has a plastic laminate top, a clear acrylic insert which accommodates most routers, a 15-inch high melamine cabinet that can house any router, and an extruded aluminum fence with a T-slot. The birch plywood cabinet lessens noise and dust. It also has a 2.5-inch dust port that fits standard vacuum hoses. The compact Bench Dog 40-001 ProTop Contractor Benchtop Router Table is easy to move around your workshop. It also has accessory T-slots on the fence and a table for mounting featherboards and other applications that you need for cutting and crafting. You can easily flip the fence around for when you need to work on bigger pieces. 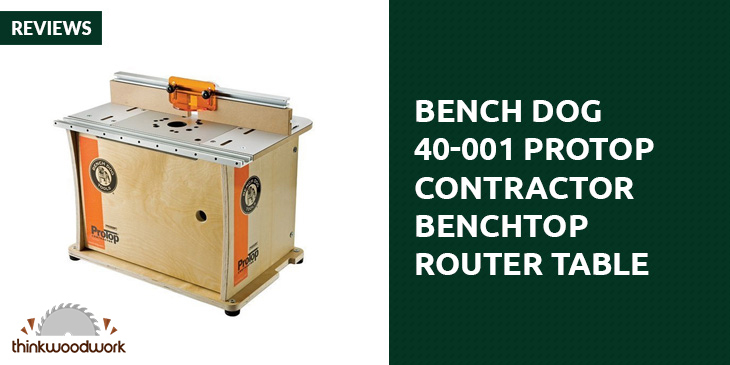 Based on its stellar reviews, the Bench Dog 40-001 ProTop Contractor Benchtop Router is a reliable and convenient setup that both amateurs and professionals will love. Parts are made of good quality materials so that you know you have a well-made router table that won’t conk out when you need it. Comes with extra pieces just in case some get lost or misplaced during assembly. Can be easily transported between project areas for those who are using this setup in a big workshop. Great for accurate use for all sorts of projects. The only concern some reviewers expressed regarding the Bench Dog 40-001 ProTop Contractor Benchtop Router Table is that it is not able to have multiple machine setups like industrial woodworking shops. Also, some expressed that the cabinet’s door hinges are a bit complicated but buyers can opt to replace it with simpler ones.